I’ve only grown garlic for the past 3 years, but have had good success with this easy, low maintenance crop. I plant cloves in my garden sometime between mid-September through to November. The garlic will be ready to harvest the following June or July. It’s obvious at this time of year (autumn) that most garlic is ready to grow. Even the store bought bulbs start to poke green shoots out of their cloves. 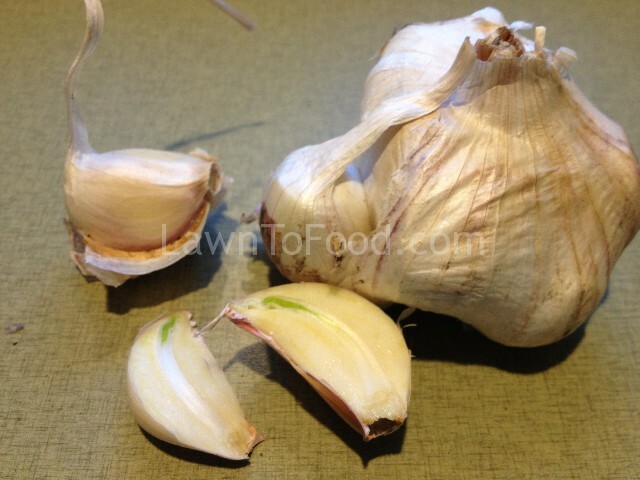 For best results, beg, borrow or purchase organic garlic bulbs from the local Farmers Market or Nursery. 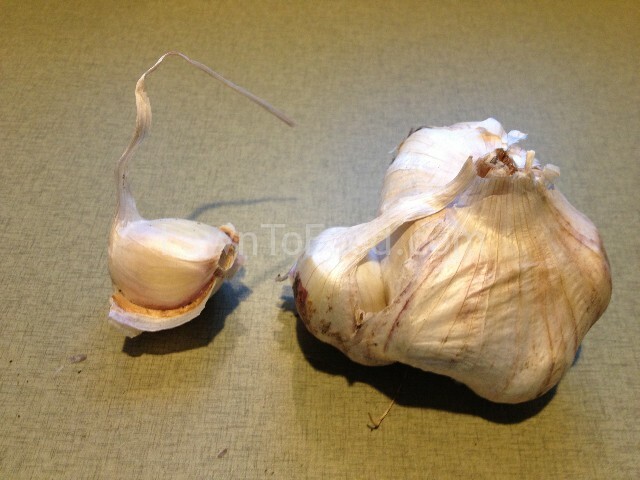 The largest cloves will grow into largest garlic bulbs. This is a large organic garlic bulb that I begged from my neighbour. It divided into 11 cloves that are big enough to plant. I sacrificed one plantable clove, by cutting it in half, to show you how it is already starting to grow. I’ll use it in tonight’s dinner, instead of in the garden. After separating all the garlic bulbs into cloves, I soak the cloves overnight in water with baking soda. The touch of baking soda can discourage fungus. I also read that organic fish fertilizer can be added to the soaking water for an energy boost. 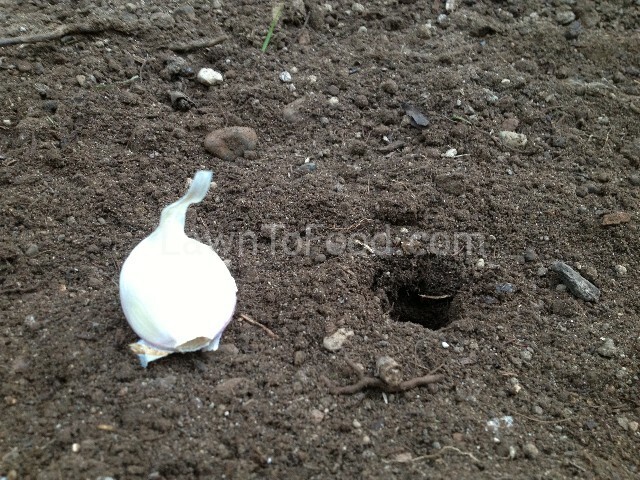 Next, I prepare the soil where I want to grow the garlic over the winter. 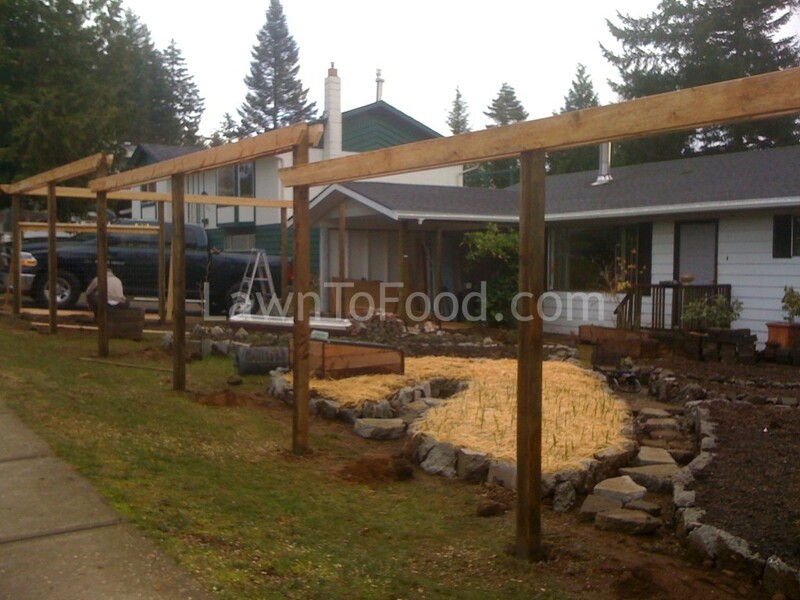 Last year, I picked a site that I knew would receive winter sun and had good drainage for our West Coast rainy days. I pulled any weeds and raked in a top layer of compost. I use the end of my rake to punch holes in the soil about 1-2 inches deep and 4-6 inches apart. You can use deeper planting if rains or frost may expose the cloves, and shallower planting if your using mulch. 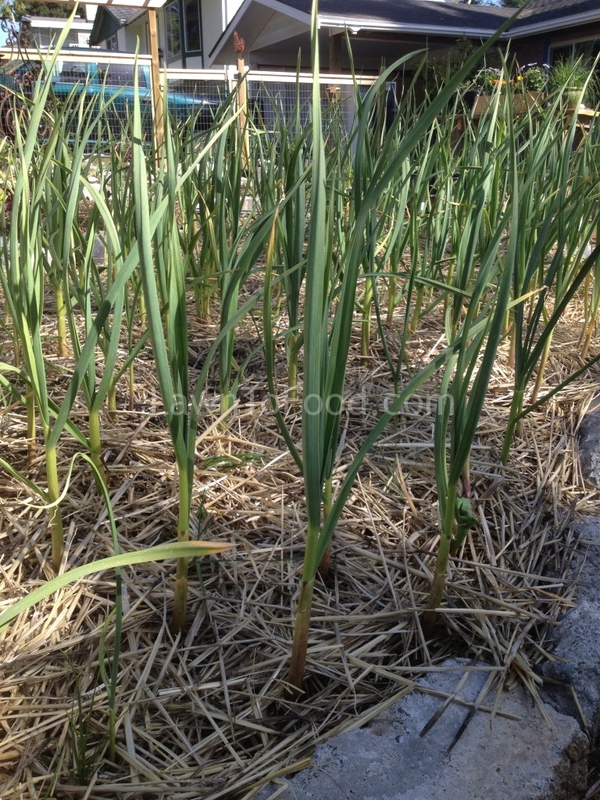 For me, 1-2 inches is deep enough because I mulch my garlic patch with a thick layer of straw. 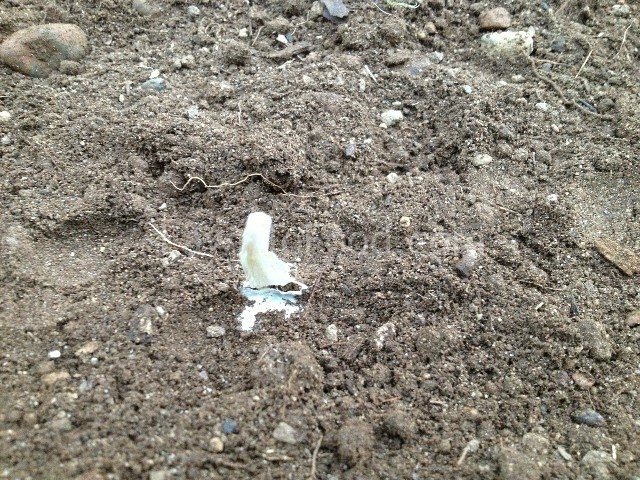 When planting the garlic, make sure the pointed end it up and that you do not peel the protective skin off. Garlic sprouts peeking through the straw mulch. In the spring, I added some lime to my soil which tends to be acidic, and fertilized the garlic with fish emulsion and liquid seaweed. 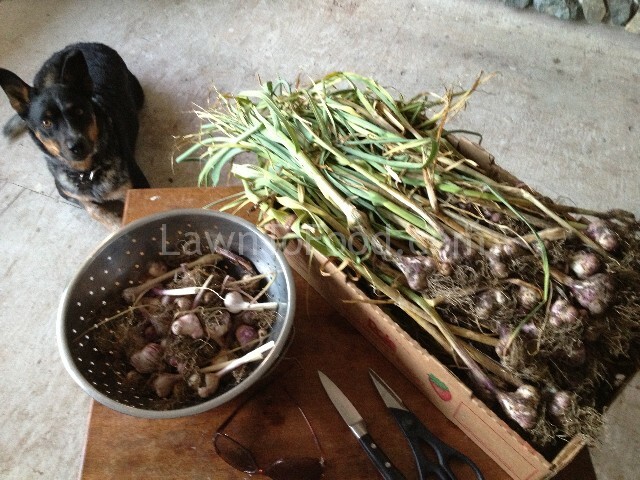 This entry was posted in Containers & Small Spaces, Crop Planning, Growing Food and tagged garlic, planting by Lynda. Bookmark the permalink.